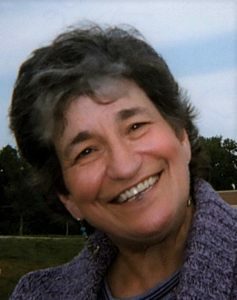 Monday, March 25, 2019 ~ 10:00 a.m.
Visitation ~ 3:00 – 5:00 p.m.
Mary H. Laperriere, 73 formerly of Omaha, NE, entered into eternal rest on Monday, March 18, 2019 at the Ashland Care Center in Ashland, NE. She was born February 12, 1946 in Worcester, MA. Mary is survived by her only son, Brian D. LaPerriere Sr. and his better half Judy Pecaut; grandchildren, Brian Jr., Dustin, Logan and Cheyanne; siblings, Arthur (Lisette) Laperriere, Anne (Tom) Haemer, Paul Laperriere; nieces, Sarah, Kate, Becky and Laura; nephew, Jason; many other relatives and friends. She was preceded in death by her parents, Rainne and Helen Laperriere. On behalf of Mary’s family a heartfelt THANK YOU to all the staff at Ashland Care Center for all their love, kindness and care. My deepest condolences to Brian and his family. May she rest in eternal peace. Our deepest condolences on the passing of Mary. We haven’t seen her since she moved to NE, but we have thought of her often with fond memories. We spent a lot of time with Mary organizing events at St. Camillus Parish and will carry a piece of her with us always. May she rest in peace.